PS, the page is divided into two parts according to the size of the original page, click on the picture at the bottom to access next part! 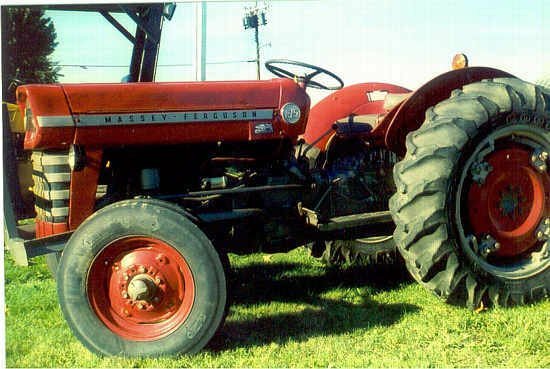 In 1962 a Massey Ferguson Corporate Coordinating Committee was formed to look at what was needed to meet the competition from other manufactures. The result was the DX -line (100 & 1000). There were three major points for the new line. First was to develop a all new line and not upgrading the old models. 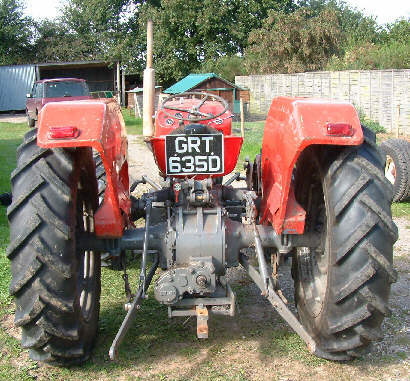 Second, the new line should include tractors in the highest horsepower range. 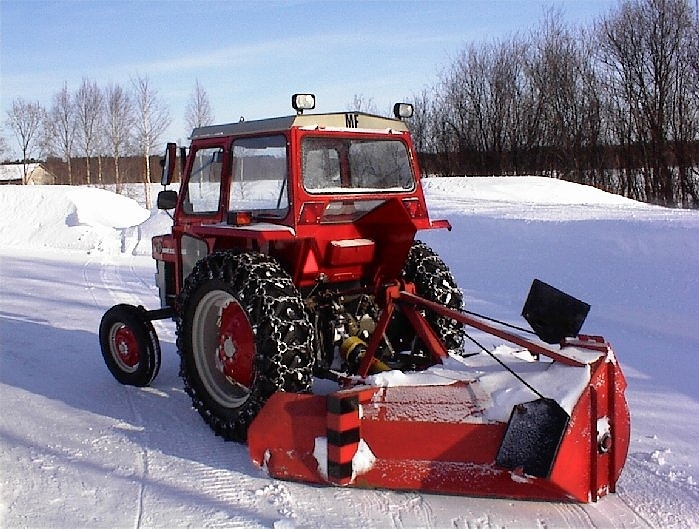 And third, the new line would be designed and produced in the most economical locations, and as similar as possible for the different markets. 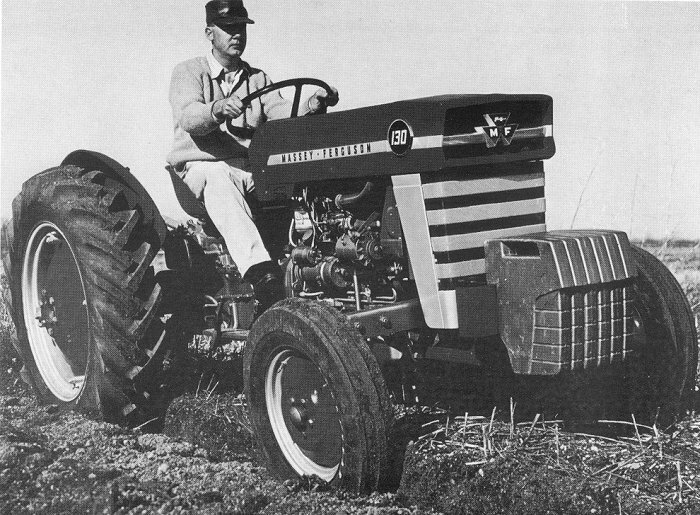 In 1971 the MF-178 replaced the MF-175. 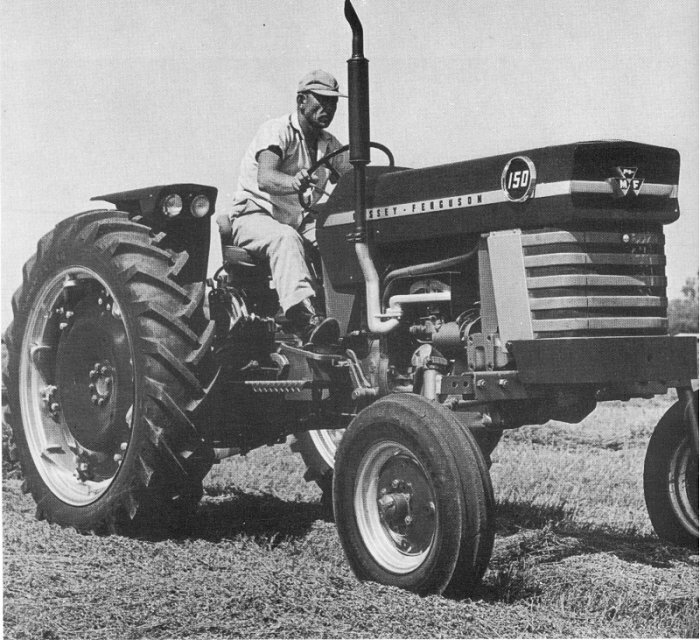 Later the MF-185 replaced the MF-178. 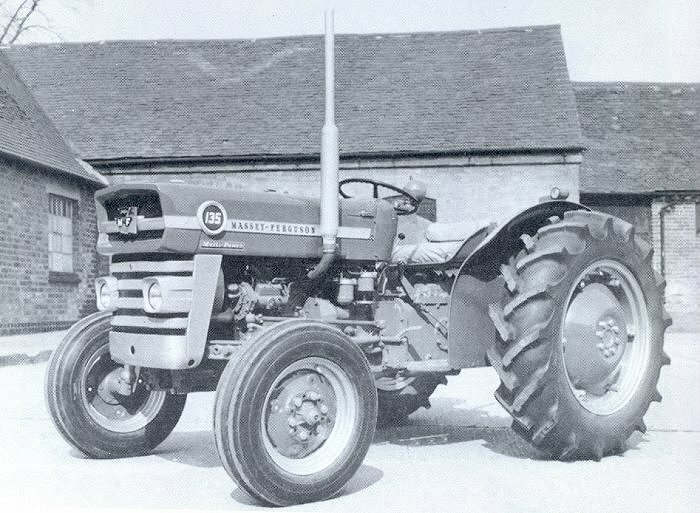 And a spacer was introduced on the "Super Spec" tractors, between the gearbox and rear axel lengthen the wheelbase, allowing fitting of a safety cab. 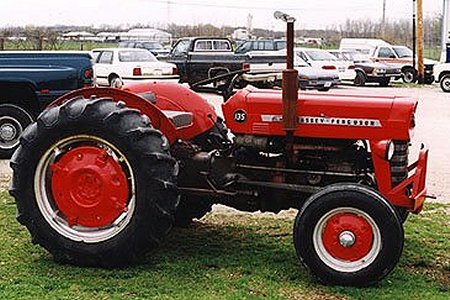 With the spacer the MF-135 became the MF-148, the MF-165 became the MF-168, the MF-185 became the MF-188. 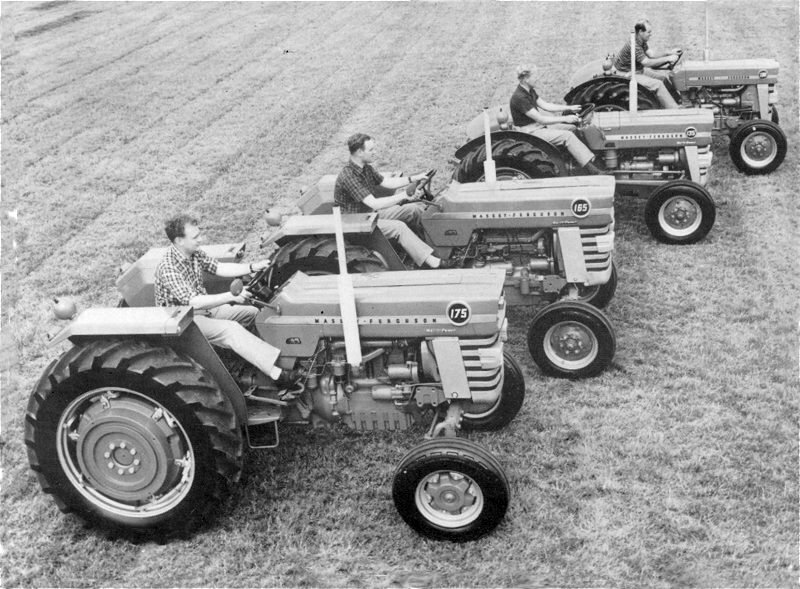 The "Super Spec" tractors had independent PTO, Multipower and high capacity hydraulic pump. 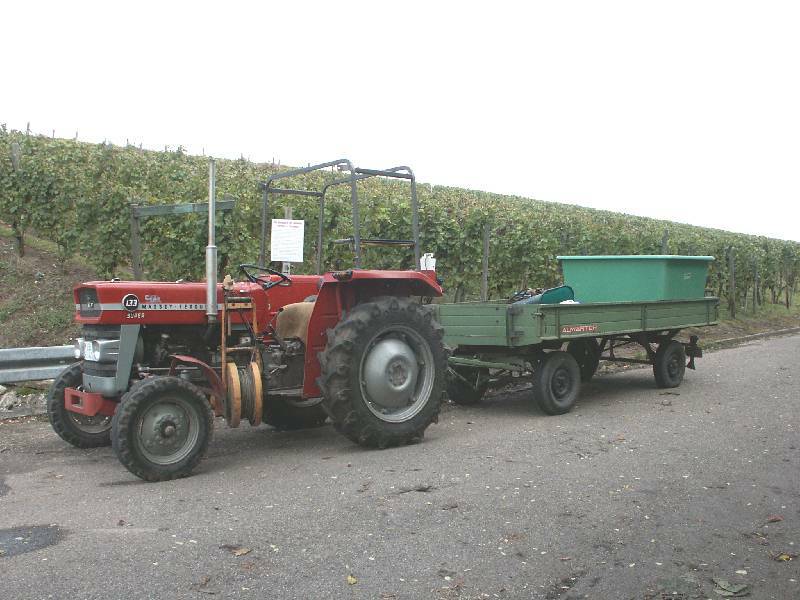 The smallest was the Vineyard and Orchard tractors based on the MF-130 and MF-135. 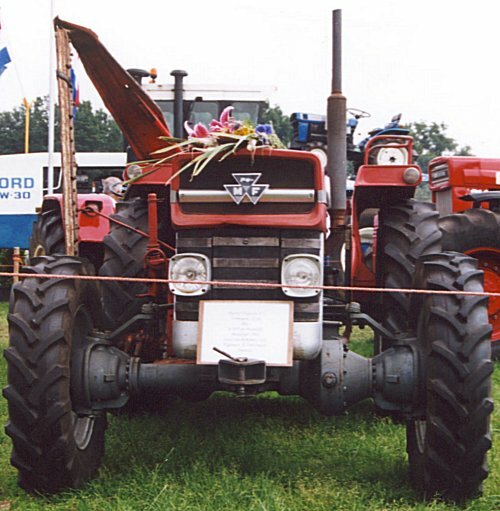 The were named the MF-122, MF-140 and MF-145. 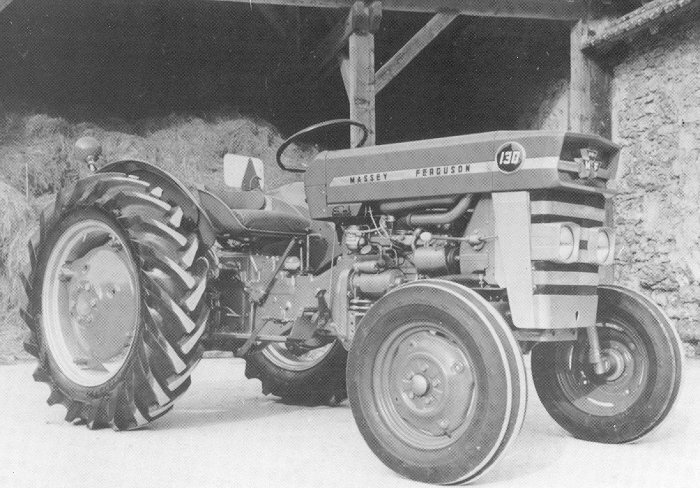 Vineyard had a wheel track of around 39" the Orchard around 54" all were built in France. 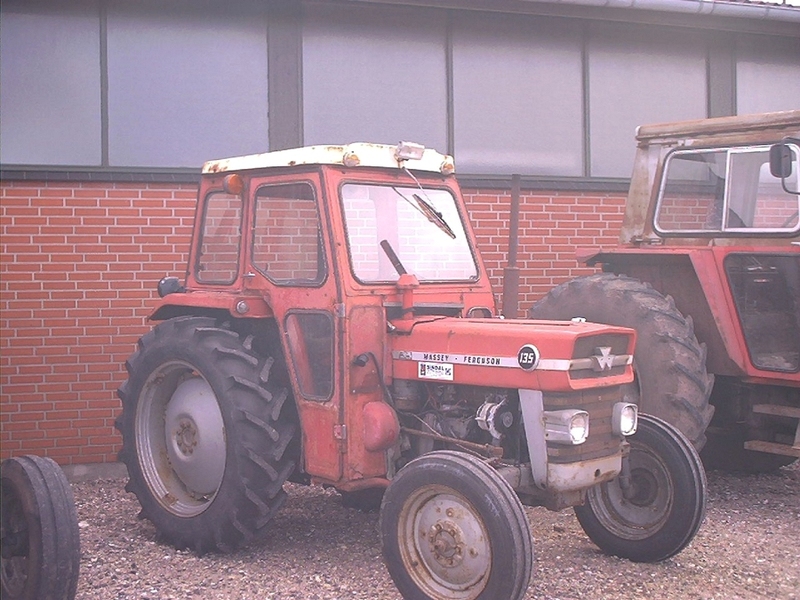 The most powerful tractors of the DX-line was the ones in the DX-1000 -line, you can find them in another page. 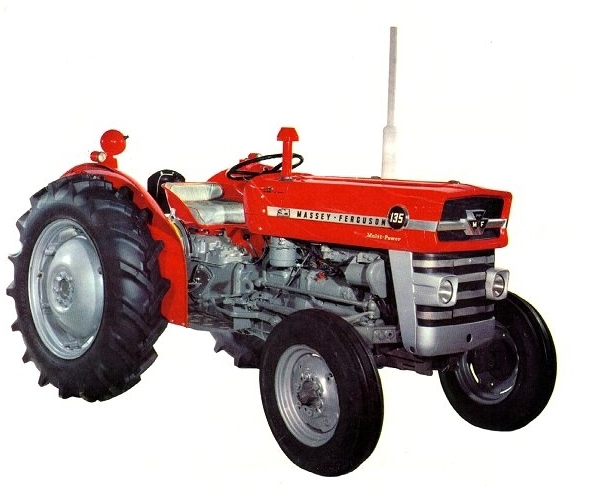 The originally series: The MF-130, -135, -150, -165 & -175 produced from 1965 onwards. 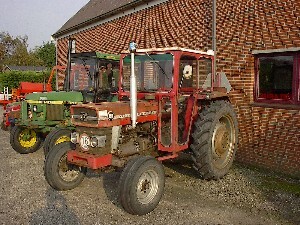 Produced in France from 1965-72 with a Perkins 4.107 engine. 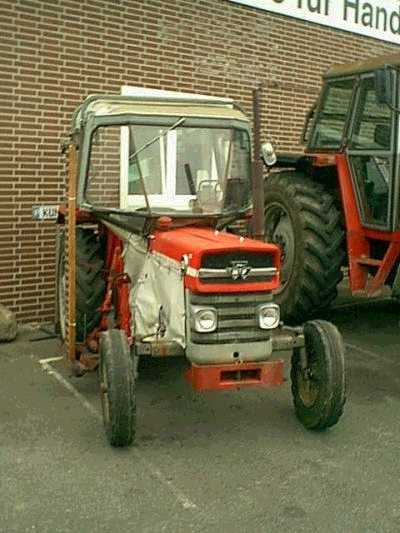 The tractor was intended for the French market. 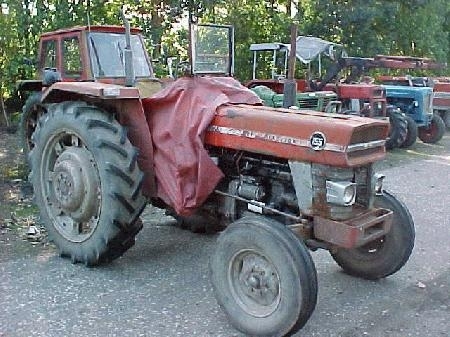 It's a up rated and restyled MF-25 (basically the same tractor under the sheet metal). 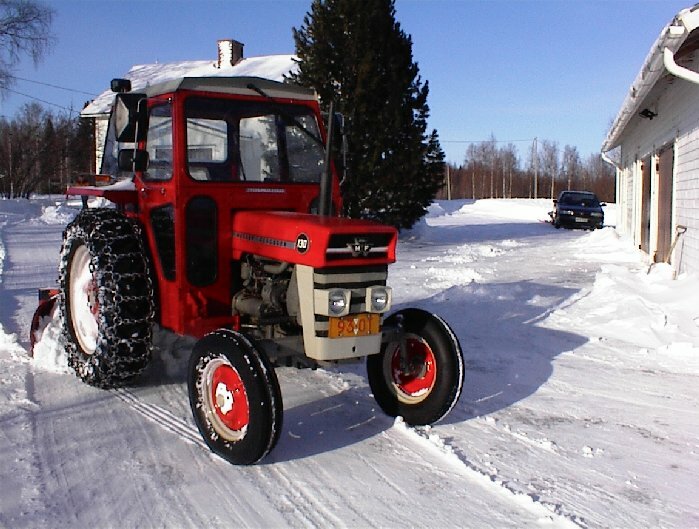 It was produced until 1972 and was replaced with the MF-230 in 1976. 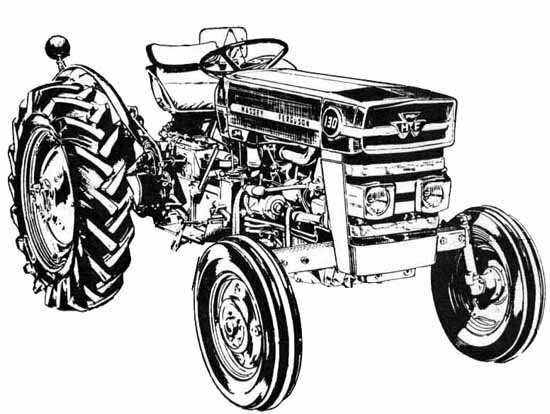 Drawing of a MF130 1965 model. 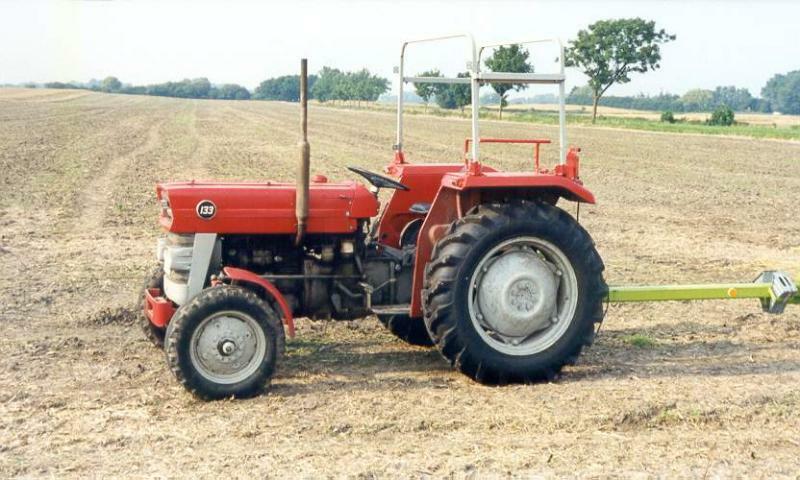 For the UK-market 1965 model. For the Western Hemisphere, without lights. 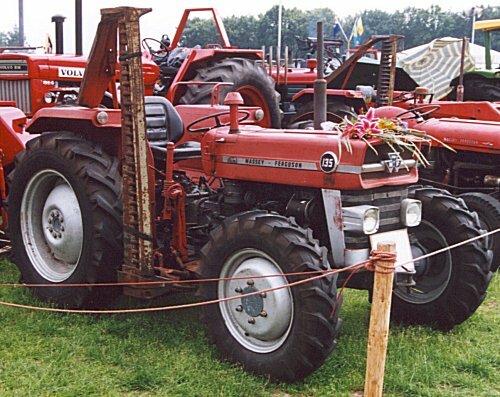 1965 model. 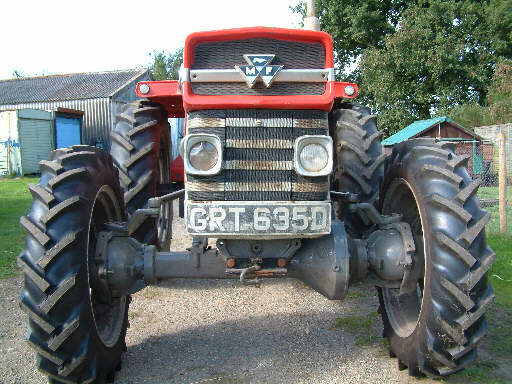 Produced from 1965 till 1979. 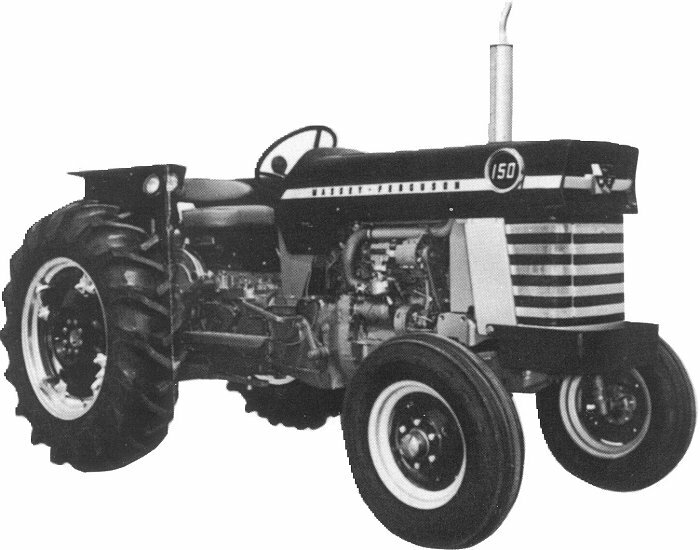 The MF-135 replaced the MF-35. 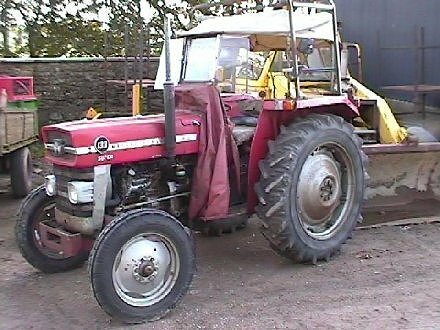 It was available with diesel or petrol engines, the Perkins AD3.152 (2490ccm) for diesel power and Continental Z134* (2195ccm) and Z145* (2375ccm) for petrol power. 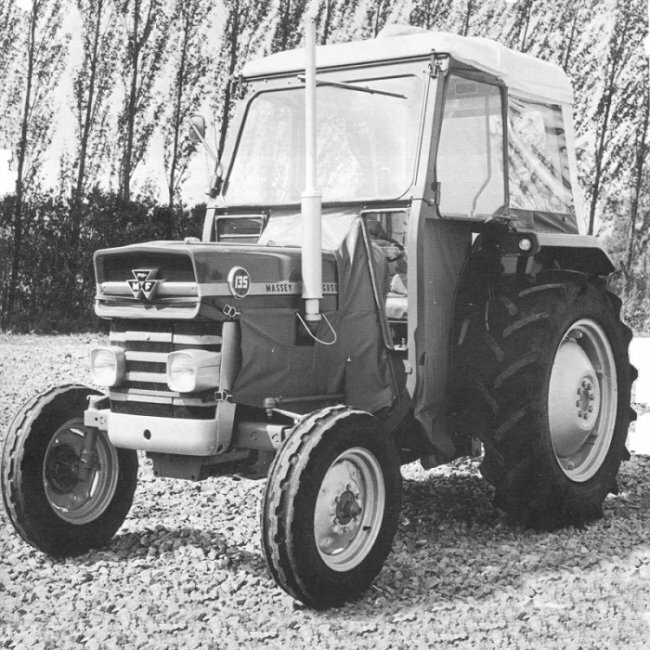 Later models could be supplied with a Perkins petrol engine, the AG3.152. Gears: 6 forward and 2 reverse on all models. Multi-power doubled it. The MF-135 & MF-150 used the same engines and bore the same relationships to each other as the older MF-35 & MF-50 did. 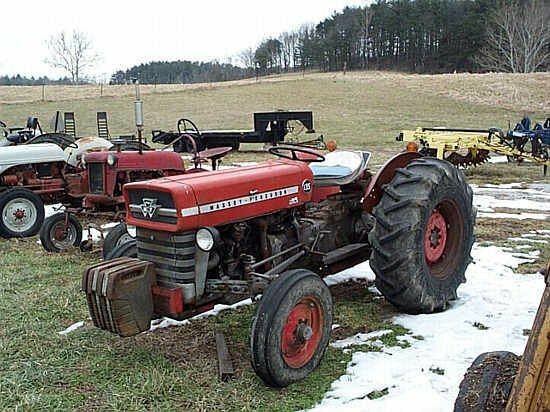 *) The Z134 in the MF-135 Special, and the Z145 in the MF-135 Deluxe. 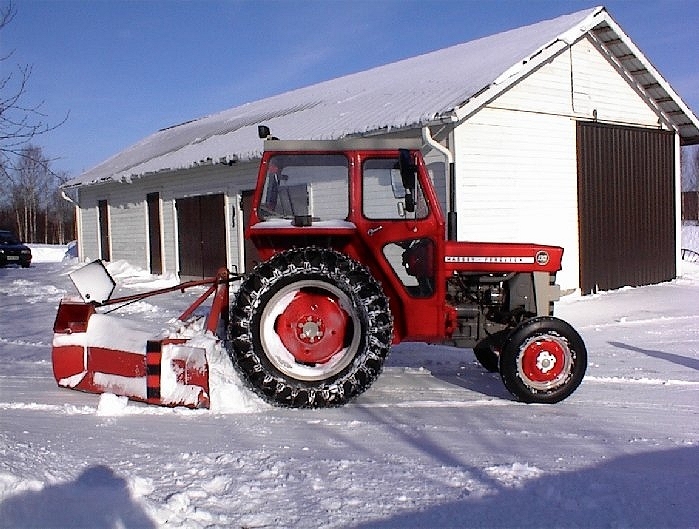 A MF-135 from Denmark. A MF-135 a special?? 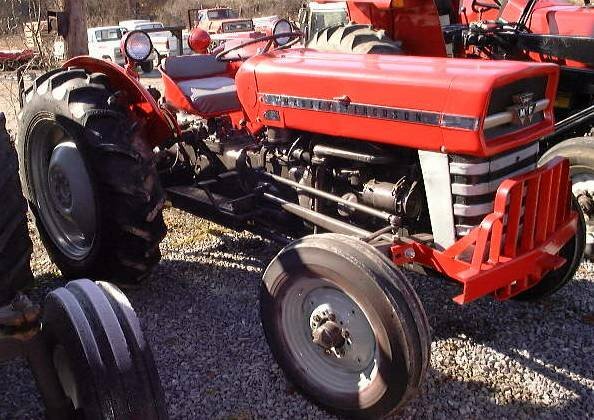 MF-135 Petrol Deluxe Continental Z-145 35,4 110 lb-ft / 1,300rpm. ** inline 4 2376ccm 6+2 / 12+4* Rear: 14.9/13 x 24 3,200 lb. 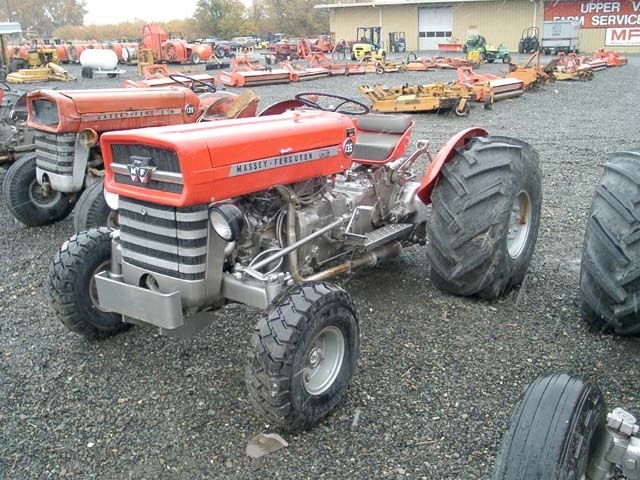 *Note: Update model from 1971. 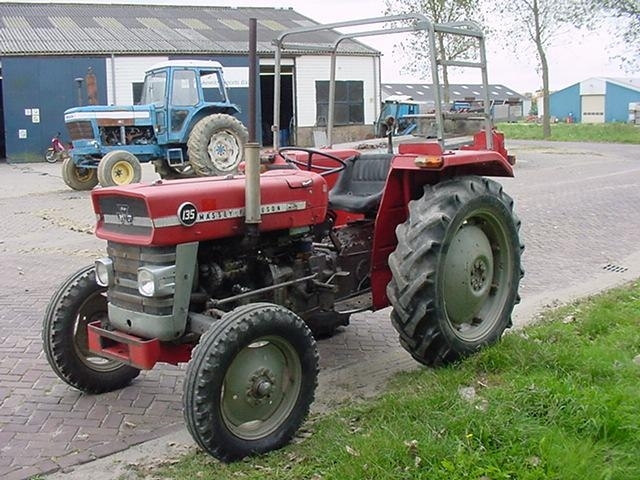 MF-135 4x4, a special or? 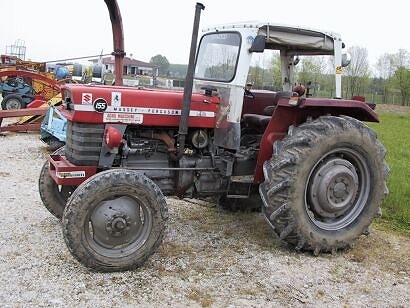 I wondered if the 4x4 MF135 was a special, but Gerrit Preuter knew what it was, he says: "The MF 135 4wd is not a rare item. 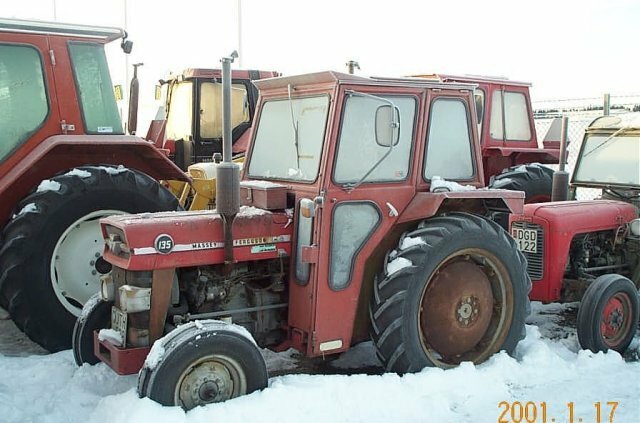 Almost all MF 100 series you could buy as a 4wd version. 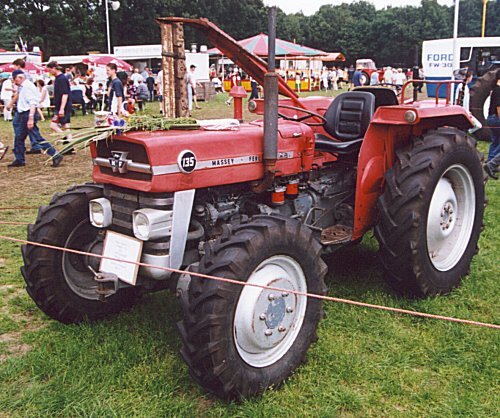 The 4wd version where mainly sold in mountain country or to farmers with bad ground"
Produced from 1965 till 75. the MF-150 replaced the MF-50 and was only available for the western hemisphere. 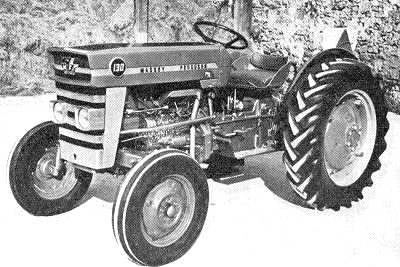 It used a Perkins A3.152 diesel engine and could be be delivered with Continental Z145 and later a Perkins AG3.152 petrol engine. 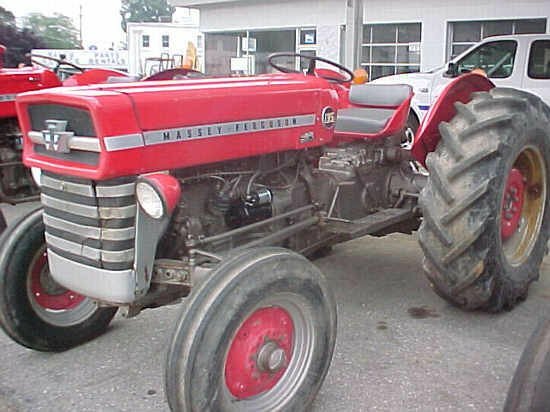 Basically the same tractor as the MF-135. For technical data see MF-135. 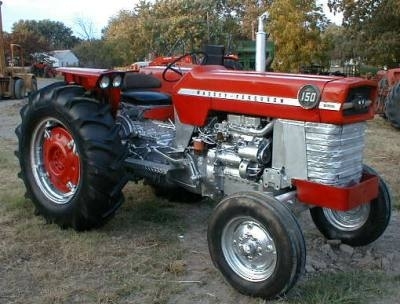 Not the best one around, a 1974 mod. 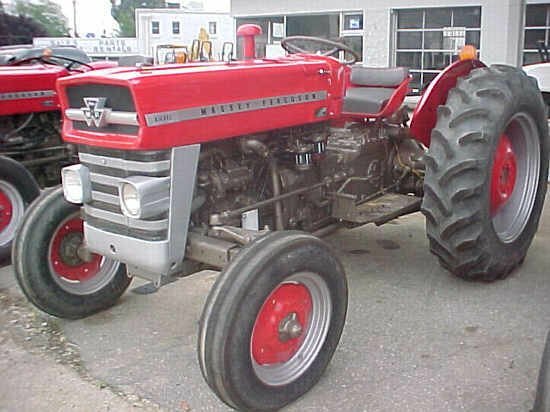 The MF-155, another tractor that I don't know much about. 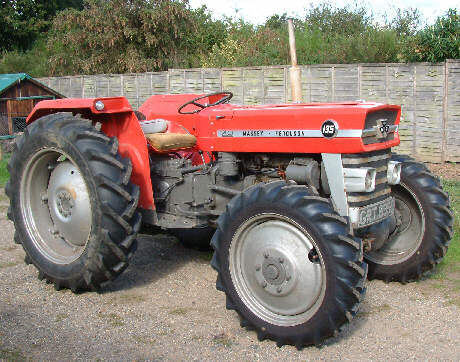 It was produced from 1972 to 1976. 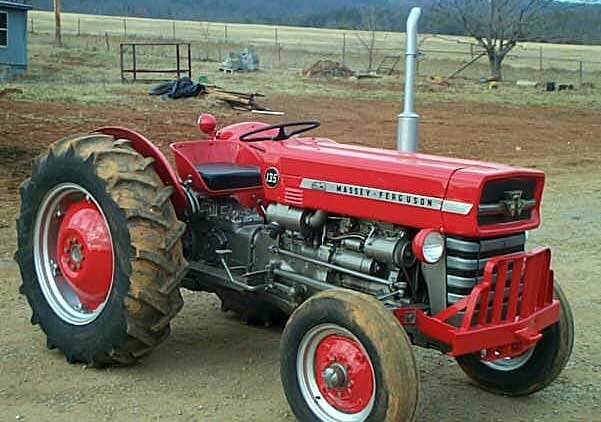 It had a Perkins AD4.203 engine with a output of 56hp. 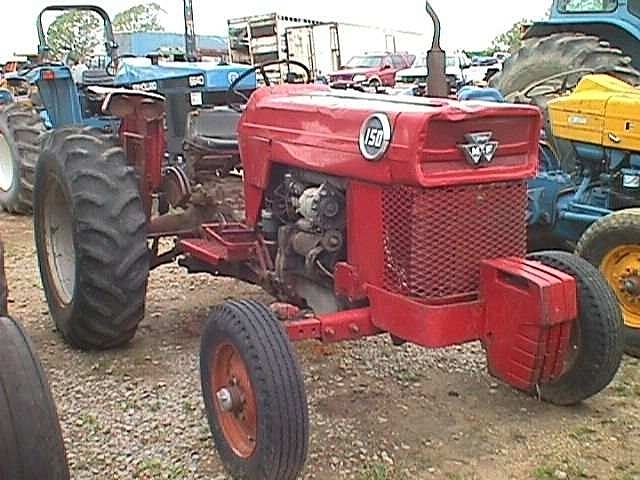 The same engine as early MF-165 tractors. 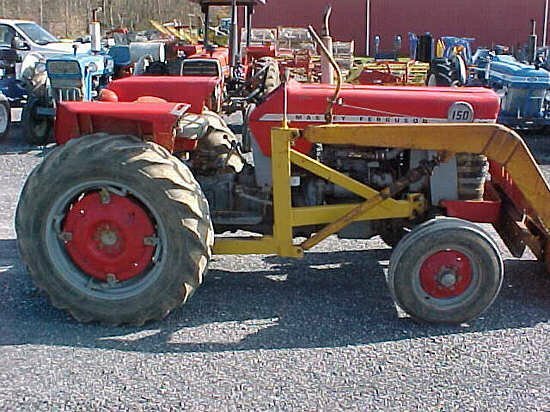 If you know something about the MF-155, or have some better pictures that I have, please let me know. If you have some additional information / pictures, or find some of the data is wrong. Or that I have used copyright pictures- Please e-mail me.